Below is the wonderful review of Caught in the Mousetrap by David Young, award winning author of Stasi Wolf, Stasi Child and soon to be published the Darker State. Great feedback – Thanks to David for that. The third book is nearly completed and should be with the publisher during February. The second book in the Schultz family series, a prequel to the first, is now available on Amazon!!! Work has already started on the third book…Coming soon! The cover for the new book looks great, doesn’t it??? BERLIN: Reaping the Whirlwind is currently in final edit and will be ready by mid/ late October. The first book in the Schultz family trilogy is on sale on Amazon – Kindle and Paperback edition. 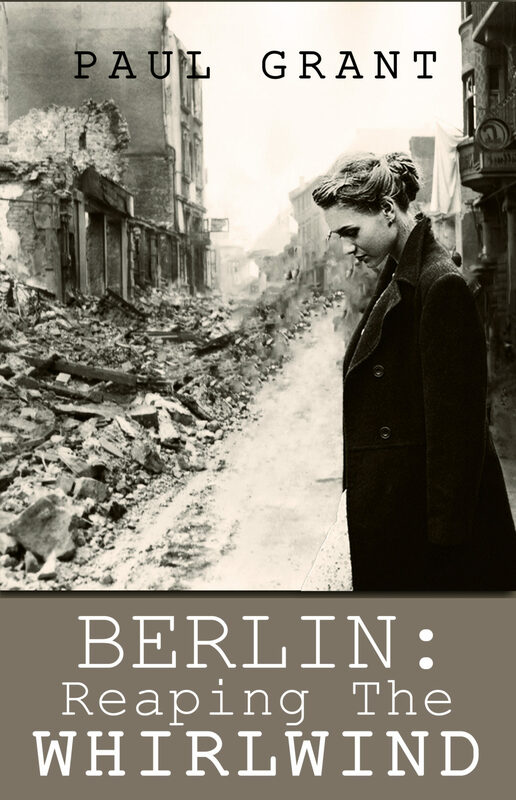 The second book in the series is well underway and will be published in early Autumn – I have added a few photos of the scenes around Berlin at the end of the war and immediately after. The Schultz family story goes back to World War II to tell Klaus and Maria’s story, as well as the early years of their children Ulrich and Eva. Now available in paperback on Amazon.co.uk and Amazon.com – see link above. Many thanks for all the wonderful feedback on the book so far. Well, the day has finally arrived!!! Caught in the Mousetrap is now available to purchase on Amazon. Many thanks for those who have already purchased and left positive reviews. More soon to follow from the Schultz family. Front Cover completed – Not long now!!! As mentioned in the last blog, the book is finished. Final development edits have been done and the book is now with my editor for the final check. Expected publication is later this month on Amazon. Hope you like the cover! Author Paul GrantPosted on 4th May 2017 Leave a comment on Front Cover completed – Not long now!!! A quick note to say the first draft of BERLIN: Caught in the Mousetrap is now finished!!! 86,000 words and lots of paper – see latest of the last 2 months work!!! Developmental and line edits to follow. It won’t be long until publication now. Author Paul GrantPosted on 6th April 2017 Leave a comment on 1st Draft Completed!!! I thought I’d share some new images on the website header. Many of the daring escapes in Berlin in August and September 1961 centred around Bernauer Strasse. The apartment buildings formed part of the Eastern, Soviet Sector and the pavement (where you can see many people waiting to catch others jumping from windows above) was in the French sector of West Berlin. Later inhabitants of these buildings were evacuated and the buildings bricked up (see photo) and later destroyed altogether. Two photos are of a breach in the first fence of the Berlin “Wall” later on August 13th 1961 on Lennestrasse. This area is in the central part of Berlin close to the Tiergarten, between Potsdamer Platz and the Brandenburg Gate. The Teltowkanal formed part of the border between Soviet and US sectors of Berlin. I hope you like the title! The work continues after that section – I have just written a particular part centred around Bernauer Strasse – hence the picture – I trust it sets the scene! You can contact me on info@paulgrant-author.com with any questions or comments.